Paddle 2 Fitness is one of the only full-time paddle coaching services in Australia. With a full-time coach, paddlers and athletes are able to get qualified coaching mornings, afternoon and throughout the day. With the Gold Coast being one of Australia’s top tourist destinations, paddlers and athletes visiting the local area often contact P2F for a couple of lessons while here on holidays or ask to join the P2F squad session. While our main business is coaching surf ski paddlers, we do also coach all disciplines within the sport of surf life saving. We run coaching clinics and mentorship programs for surf clubs around Australia. 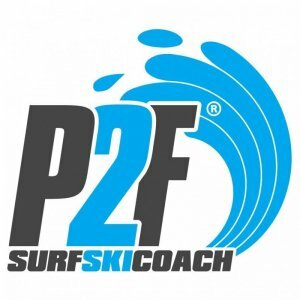 P2F Gold Coast have sessions available everyday of the week for 1-1 session to small groups. Locations are where suits the client from Currumbin Creek to Southport. We are happy to supply a boat and paddle if required which will be included in your coaching fee. P2F Brisbane have sessions Monday through Thursday mornings from 5am until 6:30am from Sandgate Road, Newstead and West End Canoe Club, West End. We are happy to supply a boat and paddle if required which will be included in your coaching fee. Over the past 10 years, P2F has developed a coaching schedule that guarantees a paddler will improve from just one session. All paddlers are encouraged to starting with an in-depth Introduction Session which covers all aspects of paddling. Depending on the skill level of the paddler, they can then either have a series of one to one sessions or move into the P2F Squad.